Urban streets are much enhanced by trees that provide shade, encourage biodiversity and improve the visual appeal. 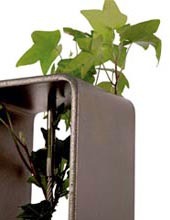 With the appropriate management they are an asset to residential areas, high streets and major transport routes. Urban designers and engineers are working to assess this vital asset and nurture a thriving future for trees of all shapes and sizes. October and November sees the leaves change into magical colours of golds, russets and reds and teams of street cleaners work hard to sweep them up. The Royal Academy Annual Summer Exhibition, London in 2016 features work by artist duo Dominic Mallin and Laura McEwen. Their take on idiosyncratic buildings in the public realm lifts the ordinary to the rank of treasured. Their collages measure a mere 300 x 300 mm. Yet by the clever use of multi-layers the graphics appear to stand out in glorious three dimensions. Based in Kentish Town, north London the husband and wife team scour the streets of their locality and beyond for the quirky, forgotten or simply scenes about to be lost for ever. Seen here are the Grand Pier, Weston Supermare and Pollock’s Toy Museum, Scala Street, London. Street design for safe cycling is priority for many urban environments to encourage more people to use healthy and sustainable transport modes. 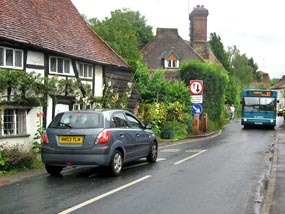 The designs have many challenges with bus and cycling routes often within close proximity. Floating bus stops are one option which allows cyclist to undertake at a bus stop in a segregated lane. But these are not without some concern as the bus passengers have to cross cycle lanes to get to the bus stop. Most phone boxes are useful and attractive but some are simply ugly and get in the way. They don’t need planning permission so what can be done? We asked Esther Kurland DIRECTOR of Urban Design London. Next steps. The government is about to change the Electronic Communications Code. 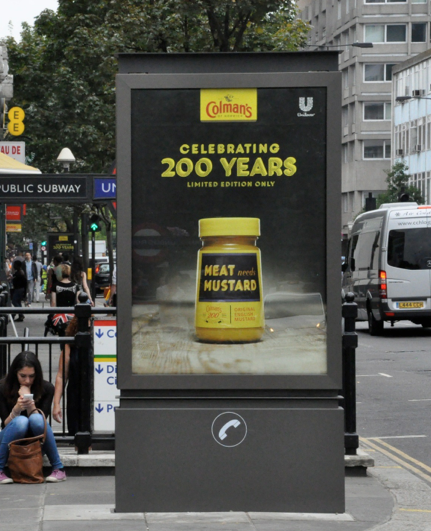 This is the statutory regulation that controls phone boxes on our streets. At present it is too lax. 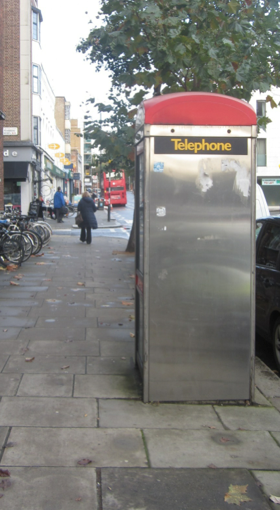 It needs tighter restrictions on the placing of phone kiosks on pavements so that councils can require the removal of kiosks that are in poor condition, etc. Electronic Communications apparatus means any apparatus designed or adapted for use in connection with the provision of electronic communications, any apparatus designed or adapted for this use, any line and any other structure or thing designed or adapted for this use. So if this is a problem in your area send robust evidence such as: derelict kiosk; kiosk as an obstruction on the pavement; less public need for kiosks; kiosk as a trojan horse for other installations or uses. We suggest the code should state that: kiosks be excluded from the definition of Electronic Communications Apparatus; the right of operators to install apparatus should be removed unless there is a reference to other approvals processes; there should be a requirement that any equipment meets certain tests (e.g. a minimum distance between them) to avoid lines of kiosks filling a pavement. To be positive, apparatus should be shared by several operators and existing structures such as lamp columns could be adapted for use as electronic communications apparatus. Transport Minister The Rt Hon John Hayes MP gave a remarkable speech on 4th February 2015, setting out his agenda for Beautiful Roads in towns, villages, cities and linking roads. It was a new aesthetic vision for the strategic road network – a systematic reconsideration of road design. Mr. Hayes offered a 5 point plan. Every project to be rooted in its locality to enhance the natural landscape and involve local people in its planning. A fresh approach that ensures all involved in the contractual processes, work together to deliver the strategy. A new Design Panel of architects, engineers, highway authorities and construction businesses to bring together visionaries and practitioners. A new set of design principles which will include the objective that all we create should be a pleasure to look at. A fundamental shift to make Highways England (responsible for our motorways and trunk roads) an exemplar of good design. Beautiful places deserve beautiful streets but this can be a challege for highway solutions. 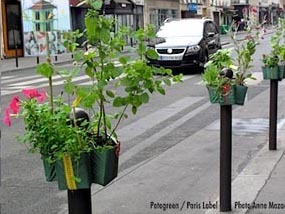 Bringing greening to a town center or city is challenging with every space already used but with a little innovation and creativity the smallest of spaces can be planted. 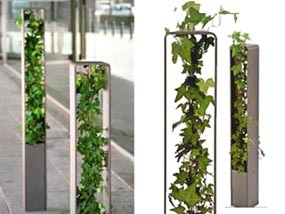 Bollards with greening is one option. 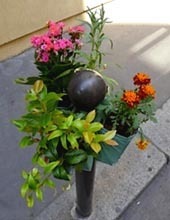 Designs can suit the character of the street with minimal steel, for a contemporary solution, while the adapted heritage bollards in Paris have an honest integrity with free form planting and a joie de vive ! !